Tracee Ellis Ross, wearing CHANEL, attends Charles Finch and Chanel Pre-Oscar Awards Dinner on March 3, 2018 in Beverly Hills, California. 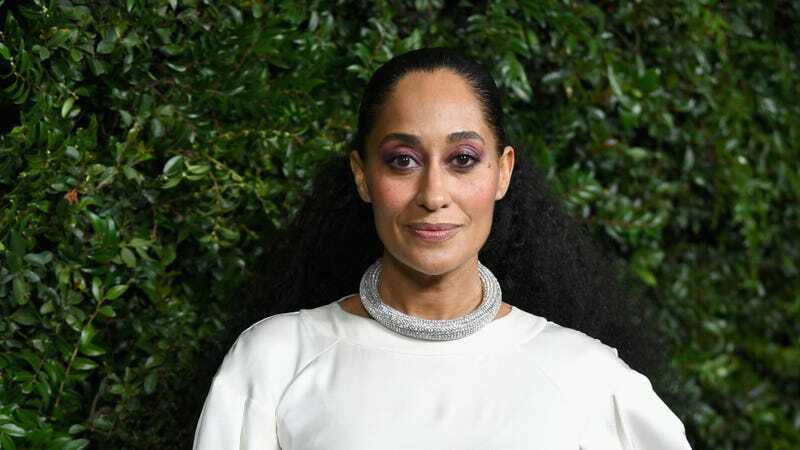 Living embodiment of a sunshine’s rays Tracee Ellis Ross will be bringing her golden aura to present the nominations for the 91st Academy Awards. She’ll be joined by Kumail Nanjiani (The Big Sick). According to The Hollywood Reporter, a whopping 347 feature films will be competing to secure a finalist spot in the running for the much-coveted golden statuette known as Oscar. The total is a slight increase from last year’s 341 eligible films. Under Academy rules, a feature-length motion picture is eligible if it has a running time of over 40 minutes, exhibits on a 35mm or 70mm theatrical screen or in a qualifying digital format via a Los Angeles County commercial motion picture theater by December 31. The minimum theatrical run is seven consecutive days. I’m just hoping Tracee reads the nominations the way Joan sung historical facts on Girlfriends. The nominations telecast will air bright and early 8:20 a.m. ET/5:20 a.m. PT on January 22, following the observed MLK holiday. Along with local broadcasters presenting the feed, you can stream the nominations announcement telecast live on Oscars.com, as well as its digital platforms on Facebook, Twitter and YouTube. The 91st Academy Awards ceremony will be held Sunday, Feb. 24 and will air live at 8 p.m. ET/5 p.m. PT on ABC.